Tesco has removed a range of Unilever brands amid a price row – but is that a good PR move? Love it or hate it, there’s no escaping #Marmitegate right now. News that Tesco has pulled Marmite and a range of other Unilever products from its online shelves has sent the media and Twitter into a frenzy. Two days ago Marmite was just a forgotten cupboard staple. Now it’s the word on everyone’s lips. Tesco has locked horns with Unilever after the global conglomerate attempted to increase wholesale prices. It says it faces higher costs because of the post-Brexit fall in sterling – but the supermarket has refused to budge. It’s not clear who will come out on top of the ongoing debacle – the UK’s largest supermarket or consumer products giant Unilever. 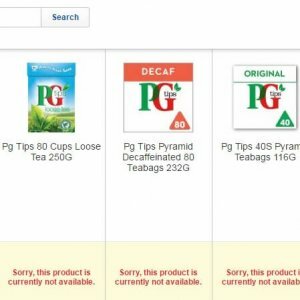 Dozens of its household brands including PG Tips, Pot Noodle, Flora and Ben & Jerry’s are among the products currently running low at Tesco. Although many are still available in-store, stocks are now running low. Whilst online stocks have become unavailable. Unilever meanwhile has declined to comment. It is also not yet clear whether the rest of the ‘big four supermarkets’ – Morrisons, Asda and Sainsbury’s – are affected. According to the media Unilever has attempted to pass on a 10% price hike across a wide range of goods. It blames the falling value of the pound against the euro and the dollar. He said he was confident that the dispute would be “resolved pretty quickly”. According to The Guardian, the UK accounted for less than 5% of Unilever’s business. However, shares in Unilever and Tesco opened lower on Thursday, with Unilever down by 2% and Tesco falling by 2.5%. It’s not the first time Tesco has taken a stance on its product range. In 2015 the firm axed 15% of its products including Carlsberg, Kingsmill and Ribena. The decision came as the supermarket battled to increase sales after profits collapsed. The news, of course, made headlines. And in turn got the nation talking about both Tesco and the pulled bread and drinks. Just a few weeks later, Tesco made a U-turn and Kingsmill was back on the shelves. Cue more media interest. The latest row however comes just months after Tesco made sweeping changes to the way its buyers deal with suppliers after strong criticism from the industry watchdog, the Grocery Code Adjudicator. Since the news of Marmite’s demise broke, conversation has been rife. As this post was being written, #Marmitegate, Tesco, Unilever, PG Tips and Pot Noodle were all trending on Twitter. There’s no such thing as bad publicity as the saying goes. But we reckon Tesco vs Unilever will end pretty soon. 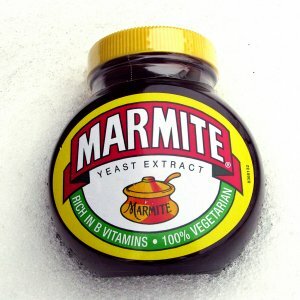 For now, Marmite’s official Twitter page remains quiet on the controversy – but we’d wager a bet that sales of the yeast spread will now be on the up, alongside its Twitter followers. Although they’ve yet to wade in, Asda, Sainsbury’s and Morrisons will probably benefit to boot. And with that comes the chance for other brands to get in on the publicity – we’re looking at you Vegemite!